Our history begins in 1873 and continues to be made by members who break records and take on ever more daring feats. 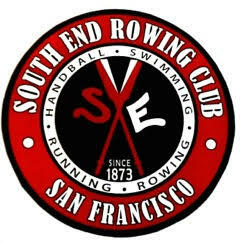 The South End Rowing Club of San Francisco is an institution in our city. We are oldest of the clubs founded solely for the purpose of rowing. 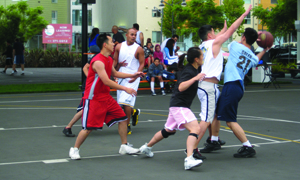 Shortly after the club opened we expanded to include swimming, handball, and running as club sponsored sports. When visiting the club you'll notice we are more historical, and less state-of-the-art. The six-oared barge South End was christened on Valentine's Day in 1915 and is still used for regattas. Portions of the current building at 500 Jefferson Street were moved from our original site, which is now part of PacBell Park. And our swimmers -- well some of them nearly date back to our beginnings in 1873 too. There is something for everyone at the South End Rowing Club. We hope you'll visit us; become a member; join and contribute to our community and celebrate the San Francisco Bay with us. For the most up to date information on our upcoming events at the South End, please visit our club calendar. Visit the South End Rowing Club website. Donate to South End Rowing Club.